Let&apos;s party like it&apos;s 1776! Put on your red, white, and blue and make some plans with friends and the family this year in Mesa for the Fourth of July. Don’t pass up these great events! 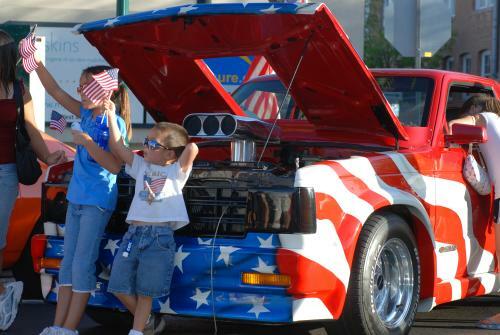 Bring the whole family to the “coolest” independence festival in Arizona! This festival is no stranger to Mesa and we’re glad to have it back for another year! The Celebration of Freedom is free and will include: live-music, the ultimate patriotic displays, a naturalization ceremony, family fun, a memorial honoring Southwestern fallen heroes from battle and plenty of fireworks! Head over to the Mesa Convention Center and the Mesa Amphitheater and get started on celebrating our independence from 6 p.m. to 10 p.m. The light rail is just a short walk away from this patriotic night to remember. Spend this Fourth of July with the family out on the farm! Starting at 4 p.m., enjoy music and contests on stage every hour. Get together with the kids and show them how 3-legged-races, water balloon tosses, and hula hoops were done when you were their age! Lay out a blanket and grab a bite at the food trucks to watch this firework extravaganza at Schnepf Farms. 4th of July Pizza Party and Live Music! Break out the lawn chairs and blankets and make your way to the Queen Creek Olive Mill on the Fourth of July. In addition to their dinner menu, a grill and drink menu will be offered out at The Pit. Enjoy fresh pizza pies, live music and dancing inside before the firework show starts. 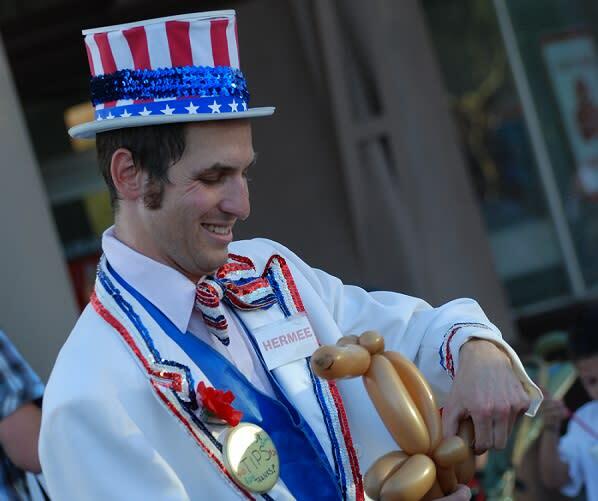 Kick off the Independence Day celebrations early with Mesa Market Place Swap Meet on Saturday, July 1. There will be face painting, balloon art, live music, and prizes for the whole family to enjoy. Adults and kids alike are also invited to write notes and color pictures to go into ‘Packages from Home’ care packages, destined to go to soldiers serving overseas. Bonus: everyone writing a note or coloring a picture will get a free ice cream! Fourth of July and BBQ make the perfect pair! Enjoy grilled BBQ ribs, corn on the cob, honey glazed chicken, baked potato bar, fresh greens and fruit salads, and seasonal berry cobbler along with live music on the Patio at Las Sendas. I scream, you scream, we all scream for ice cream! Whether you’re taking in the views at the Grand Canyon or watching the gun fights in Tombstone, you&apos;ll enjoy a scoop of your favorite ice cream to celebrate Independence Day with DETOURS American West. 4th of July Parking Lot Party! The GoVets Foundation and The Oak Room Kitchen and Bar are teaming up this Independence Day to honor veterans. Get the evening started at 4 p.m. for some entertainment, beer and to grab a bite in the food garden. Take a swing at winning the Putt for Prizes contest before the fireworks show at 9:30 p.m. 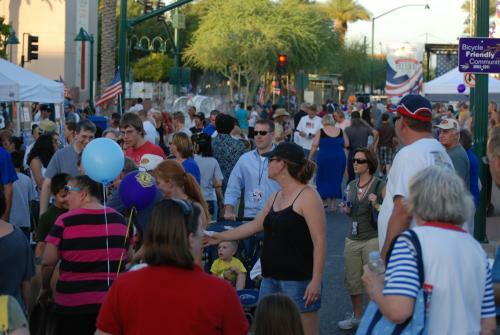 Already planning on being in Downtown Mesa for the Arizona Celebration of Freedom? After the firework show ends, head over to Desert Eagle Brewing Company for reverse Happy Hour and Open Mic Night. Check out Zinburger for the 4th of July and get 25% off with this coupon! Enjoy a nice juicy burger and a milkshake on our nation&apos;s birthday! Celebrate the 4th of July at the Museum! Celebrate Independence Day early with 2 for 1 admission at the Mesa Historical Museum on Saturday, July 1. Explore their current exhibit, Strange Collections: Cat People of the Outer Regions which displays the art of Karen Kuykendall. To celebrate our veterans, the I.D.E.A. Museum will provide free admission to active-duty military families in the summer via the Blue Star Museums program. Blue Star Museums is a collaboration among the National Endowment for the Arts, Blue Star Families, the Department of Defense, and more than 2,000 museums nationwide. Be in the presence of Lions, Tigers, and Bears at night on the 4th of July at The Phoenix Zoo. Enjoy a classic summer BBQ and top off the evening with a very special viewing of the Tempe Town Lake Fireworks Spectacular show at a “VIP” seating area in the back of the Zoo! If you’re thinking that all of these specials sound amazing, but there’s no way you could take advantage of all of them in a day, then fear no more because the celebration continues into the following weekend at Rockin’ R Ranch. Mention "Visit Mesa" and get $5 off the price of admission for everyone in your party. Experience the Old West at its best with an all-you-can-eat BBQ Dinner, followed by a foot-stompin, hand-clappin&apos; musical show, and finally, a gunfight out of the pages of history. A stay at the Phoenix Marriott Mesa will put you right in the heart of the Arizona Celebration of Freedom. Other properties within five miles of this patriotic event include the Courtyard Phoenix Mesa, La Quinta Inn & Suites Phoenix Mesa West, Hyatt Place Phoenix-Mesa and Days Hotel Mesa. Looking to spend the evening out in Queen Creek at Schnepf Farms instead? Courtyard at Phoenix-Mesa Gateway Airport is just a short drive away. If you want to spend your Fourth of July weekend lounging by the pool, we suggest a stay at the Residence Inn Phoenix Mesa or Holiday Inn & Suites. We would love to see how you celebrate Independence Day this year in Mesa! Show us by tagging your social media posts with #VisitMesa and #MesaCityLimitless!